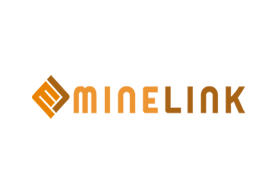 Mine Link Solution is an end-to-end technology framework packaged as a simple data service to monitor remote data points. A mining company has a number of mines and in each mine; there are large numbers of operations spread over a large geographic area where mining operations are carried out. This requires the application of a new creed of technologies that are capable of monitoring remote mine areas, tracking real-time information and sending it directly to those in the organization that requires it, all in real time. All of these challenges mandate a new way of doing things. Fortunately, we are living in a connected world. Communications is becoming ubiquitous. 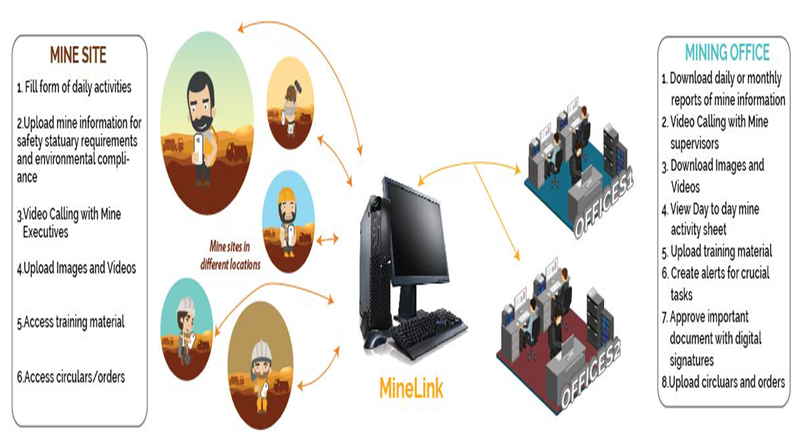 Thus a MineLink App is a solution which allows users to fill real time information about day to day mine activities, capture images and videos at mine and take video calls at mine itself and concerned person in the organization can download the uploaded data as reports, download images and videos and take video calls with mine supervisors. Alerts can also be set to enable the reminder for important activities like renewing mine lease etc. This App helps in linking different mines within the organization and sharing of real-time information. MineLink facilitates to upload the images and videos with time-stamp of any activity via mobile app, so that the organization can track the activity and work progress. Day-to-day reports are generated and the data of the mine activities are saved in cloud. The mobile app can work both in online mode and offline mode and without the internet connection. The data, images and videos uploaded in offline mode will be synced automatically as soon as the internet connection is active. Alerts for the mine activity can be managed via app. The orders and circulars which are uploaded get approved through Digital Signatures.